Sasha '13 . We are done with Build Season and heading into our 2019 competition season Destination: Deep Space. Our off-season robots include parade bot Wall-e, Olga, Long Bob, Bitty Bob, Igor and our new summer project Blinky. We meet twice a week year round at our robot shop in the Alpha class rooms in the basement of the Superintendent's office building. We had a great 6th year with Clyde earning us an invite to attend Worlds in Detroit. The team has earned enough points to attend in all but one of the past six years. 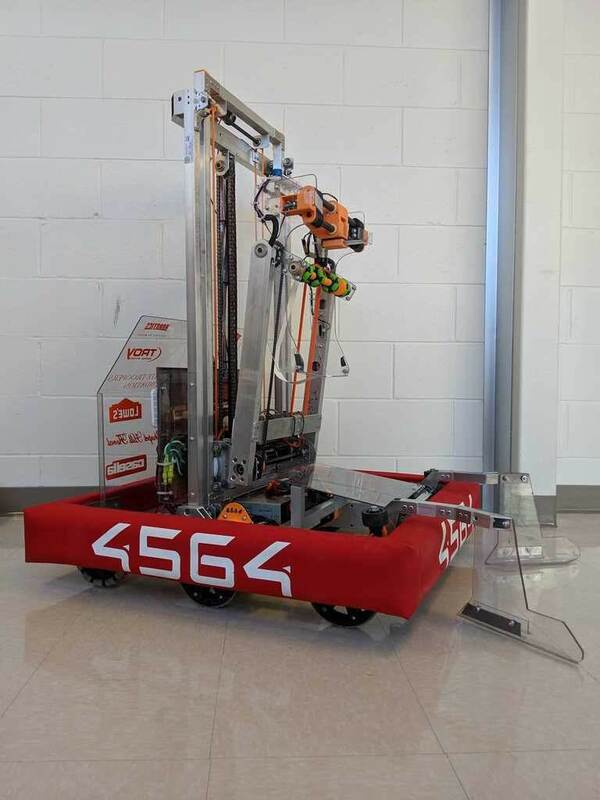 Our first competition was the WPI event in Worcester MA, won the event and won the Quality Award . At Pine Tree, our favorite and closest event, ended with the team in 2nd place and the 2nd seed and making it to the finals. The team brought home the Industrial Design Award. At the end of District events the team was ranked 23rd in New England. At the New England District Champs at BU, the team ended qualification matches in 18th place and was chosen by the 8th seed alliance, but were out in Quarter final play. And Zoe V. was selected as a NE Dean's List Finalist and is heading to Detroit. We ended the season 13th out of 209 teams in New England. 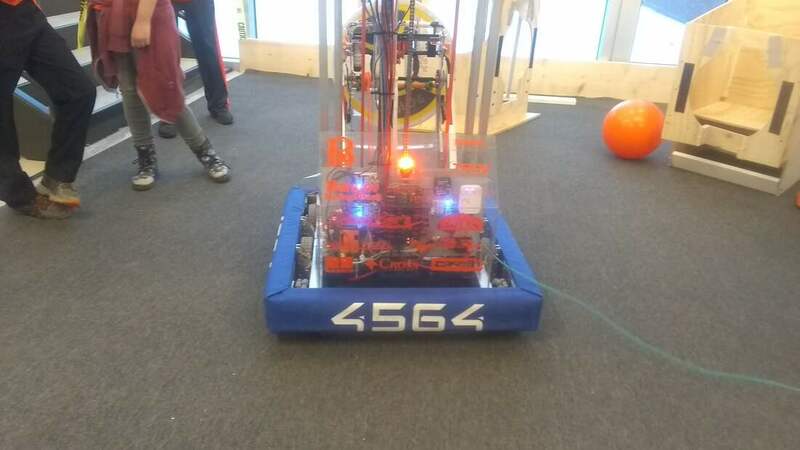 During the Off-season the team looks forward to taking our robots to STEM out-reach programs around our area including the 4th of July parade (an annual favorite), demos for The Challenger Center summer camps, and our third year of attending the open house at Casella's Juniper Ridge Landfill. We also had our 6th Annual Craft Fair, in October with many crafters and vendors returning for their 4th year. 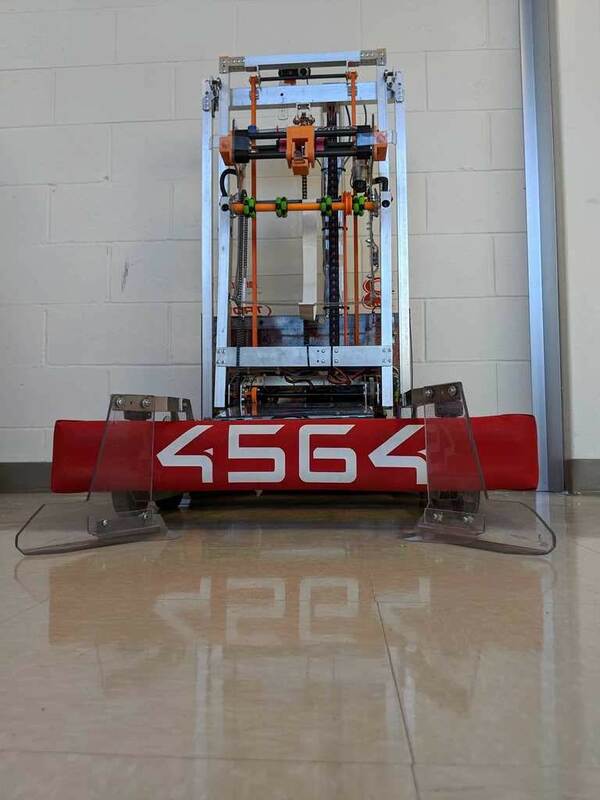 We compete in many off-season events Summer Heat with Maine's very own Team 58 at S. Portland High, Mainely Spirit with Team 2640, and Battle of the Bay in Alton NH hosted by BOB Team 319. Additional meetings during build season. Bonnie in the Practice Area. What is FIRST you ask? It is a worldwide program that teaches 8th through 12th grade students, not only hands on electrical, mechanical and computer skills but also communication, business and team working skills. One of our favorite terms from the FIRST community is "Coopertition ®" which means competing always, but assisting and enabling others when you can. This organization has inspired and changed many kids lives as they have discovered the joy of learning about STEM and about the FIRST competition. If you want to learn more click here to go to the FIRST Inspires website to learn all about this amazing program.